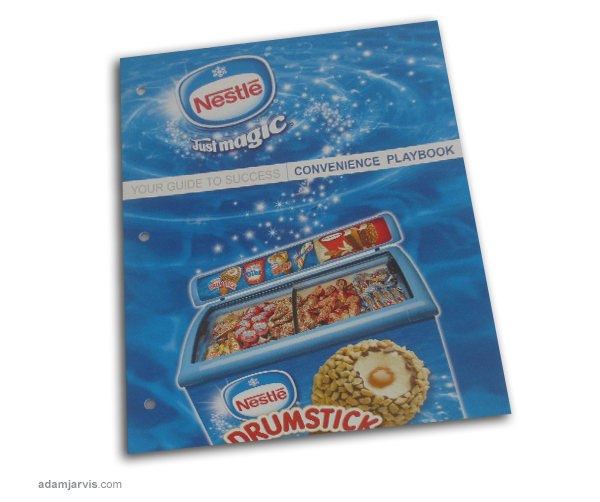 Sales kit for Nestlé Ice Cream. Summertime means ice cream. 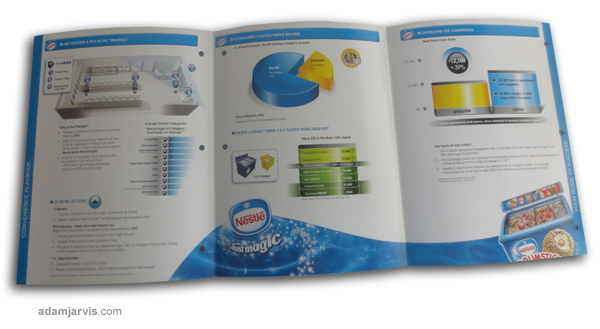 And Nestlé Sales Reps needed a tool that would allow them to walk into convenience stores and gas stations and get their message across. Usually those sales visits are brief with several distractions. 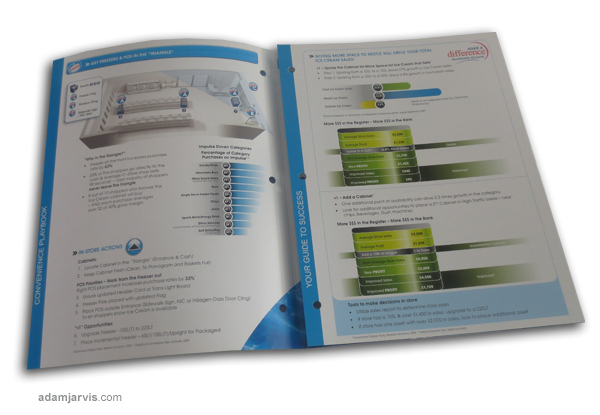 This 3 fold brochure-style approach really gives store owners something to sink their teeth into. Neal Bridgens created the 3D store plaogram.